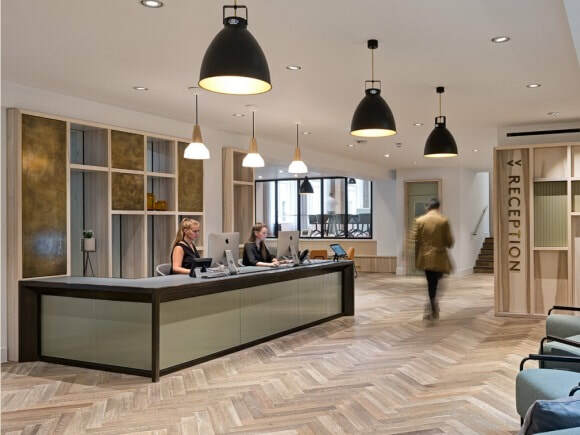 Wimpole Street serviced office is located in a lively area with excellent local amenities close by. The building has been fitted out to a fantastic standard with various facilities within including a bright and airy mezzanine. With offices to let spread out over a number of floors they come complete with all the usual extras such as internet, telephone points, desks, chairs, and storage cabinets. The communal areas comprise of comfortable lounges, meeting rooms, kitchen/break areas and even a roof terrace. There is also a manned reception that can assist with admin and IT support when required. Rent term agreements can be either short or long term with the option to up-size suites within a contract period. Situated close to three underground tubes, these serviced offices have great transport links with connections to mainline train stations to the north and south of the capital.